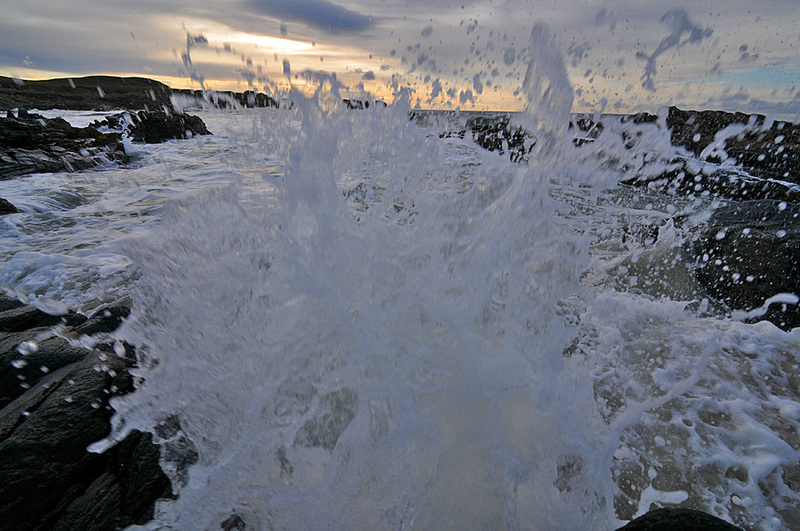 Standing on the rocks in Saligo Bay photographing the waves a bigger than expected wave caught me out. The camera survived, although I was a bit wet. This entry was posted in Beaches, Cloudy Weather, Landscape, Repost, Sunset and tagged Islay, Saligo Bay by Armin Grewe. Bookmark the permalink. Well done – great photo! It was worth the wetting!